The first Shabbos prior to Rosh Chodesh Adar (in a leap year Adar II) is called Shabbos Parshas Shekalim. This was when the announcement went out for the annual drive to raise money for the sacrifices fund of the Bais Hamikdash for the sacrifices that are to brought in the coming year. We read the beginning of the Torah Portion Ki Sisa which discusses the collection as the Maftir on this Shabbos. 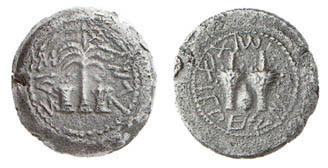 When a census of the Israelite men was taken, each man was required to contribute the coin of one-half shekel. The coins were then counted, and the total indicated how many men had been numbered. This process raises several questions. Why weren`t the men counted by heads? Why was each one required to donate a coin instead? Our Sages have replied that the method of counting by means of coins signifies the fact that every single person numbered has his own individual worth. However, this leads to a different question. If so, why did each man have to donate only half a shekel, rather than a whole one? Why not have each individual show that he is whole and complete? In fact, this is just the point, to emphasize the fact that no individual is complete when alone. No man, and certainly no Jew, is an island. He can reach the ultimate heights of Jewish spirituality and brotherhood only when he associates and cooperates with other Jews. If he goes out of his way to help others, to learn from others, and to join others in positive group efforts, then he is a true member of the Jewish nation. On the other hand, if he remains aloof from others, then he stands alone and is truly lacking in character (Rambam, Perek 4 Hilchos Teshuvah Halacha 1). In Pirkei Avos, the Ethics of the Fathers, we learn. “On three things does the world stand; on [the study of] Torah, on Avodah (Service of G-d) and on performing kindness”. The preferred way in which to perform each one of these things is through interaction with others. Torah study is best performed with a study partner; the Temple worship was performed in the Bais Hamikdash through the Kohanim, one who was not a priest could not perform the sacrificial worship that was done there. Today, that we don’t have the Temple, our prayers take the place of Temple worship. The preferred way to pray is with a minyan, a quorum of ten Jewish men. The third, acts of kindness, certainly requires interaction with others. You do not perform kindness with yourself; that’s selfishness, not kindness. So we see that to be a Jew and to perform the mitzvos and engage in G-d’s service properly we need to work together. There is another benefit; as alluded to by a famous teaching of the Baal Haturim, Rabbi Jacob ben Asher, (born in Cologne, Germany in about 1269 and died in Toledo, Spain in about 1343) who writes in his commentary printed in many editions of the Chumash, ``When you take the count of the B`nei Yisrael to determine their numbers, each man shall give an atonement pledge”, the Hebrew word for “each man shall give” is “ונתנו". This word can be read backwards and forwards, alluding that when one gives charity it returns to him and he does not lose anything through his act of kindness. This is the lesson of the Half-Shekel; every Jew needs each other and you will never lose out by extending your hand to your brother or sister. Our most powerful force is unity. The Half-shekel offering bespeaks unity. When there is unity, then it is fitting that “Thus there will be no plague among them when you count them”.